Teething bling is an ingenius idea allowing parents of small children to still wear jewellery. 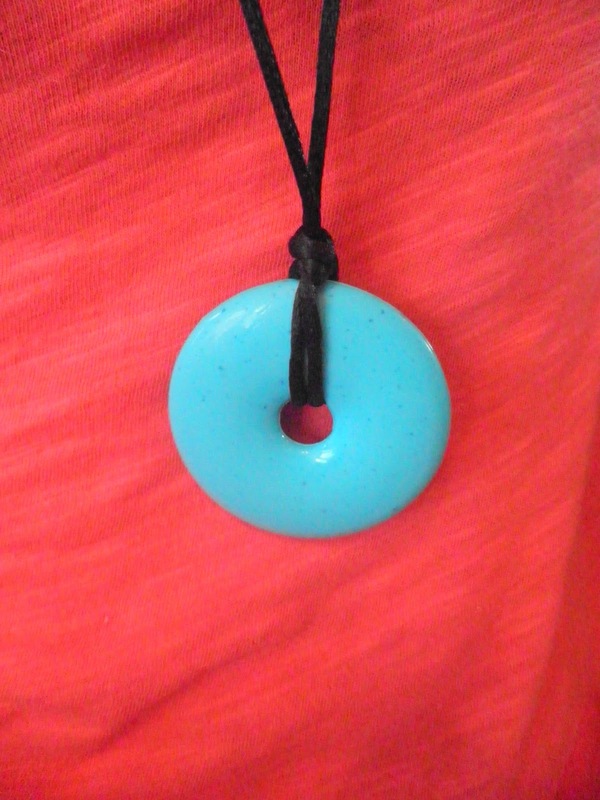 They kindly offered me one of their necklaces and Dylan and I have loved it. The pendant is made of baby-safe materials that can be dish-washed and sterilised and chewed at to their hearts content. They come in a large variety of colours so you can get one to go with every outfit, or pick something more neutral. twiddle and play with and I loved how it kept him occupied and stopped any more hair being pulled out. It is now a great distraction when we are out as I can quickly pop it off my neck and give it to him to play with. 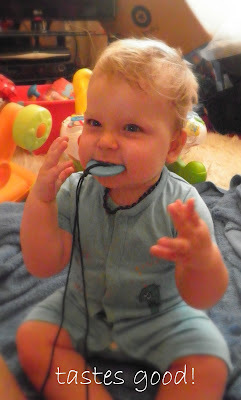 We highly recommend teething bling as a great solution for those first couple of years and I wear mine most days now! Disclaimer: I was sent a teething necklace for the purpose of this review. All thoughts, pictures and words are my own.